It is hard to make new traditions sometimes, but one that I am a stickler about is Pumpkin Day. 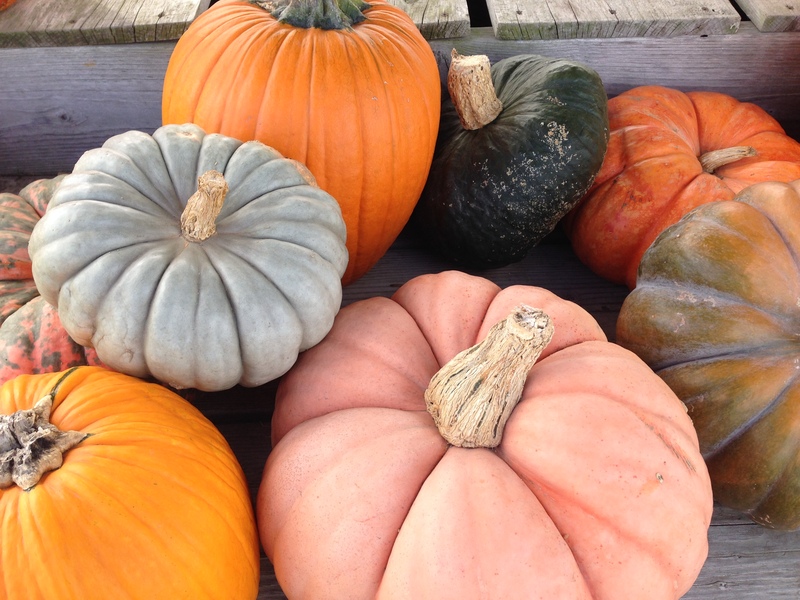 As I have mentioned before, I have an odd, deep love of pumpkins…they make me really, really happy. So getting my stash each year — A.K.A. “Pumpkin Day” — is pretty much one of my favorite days of the year. And for the last three years, our adorable Nephew has hit the patch with us, making PD even more fun and a sort of new tradition in our family that is blissfully prep and stress-free. This year, Nephew — now older, wiser and more choosey — went though the field with gusto and also insisted on rolling his cart himself (with the help of my Brother and Mr. H., as he is, you know, only two). He also seemed pretty particular about which pumpkins were up to snuff, which I see as a good skill to cultivate early. And as you would imagine, he was pretty devastated when we had to put his cart away. Seriously, the child was upset. Thankfully, all was forgiven during the dessert course at lunch, where chocolate pudding was served. Nephew may have had ice cream before, but to our knowledge, never pudding. And heavens, did he enjoy it! The All-Over-My-Face kind of enjoyment that you can only have when you are this age. Needless to say, we’ll be making this particular pudding another part of Pumpkin Day from hereon in. Here is to Pumpkin Day and making your own traditions. You are currently reading The Most Wonderful Time of the Year (Not That One) at Some Cozy Night. Categories: Tradition can be a good thing!